This is a daily devotional, although I read ahead. 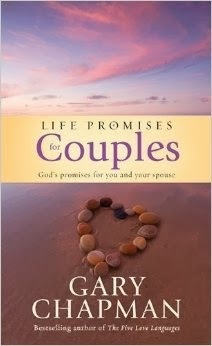 This is great for someone wanting a devotional to read with a spouse. It does not take much time, so If one of you is not a reader it will take a few minutes to give you something good to ponder through the day. The left page has 3 or so scriptures and the right page has a topic for the day. This would make a great gift for newlyweds or and anniversary gift. I love the way that Gary Chapman always references the 5 love languages in the books I have read. Disclosure: I was provided with a free copy of this book in exchange for an honest review.